The Pledge Forecasting Report shows what pledge payments you are expecting for the future. Filter on Type, Appeal & Campaign. Group Monthly, Yearly, Quarterly, etc. 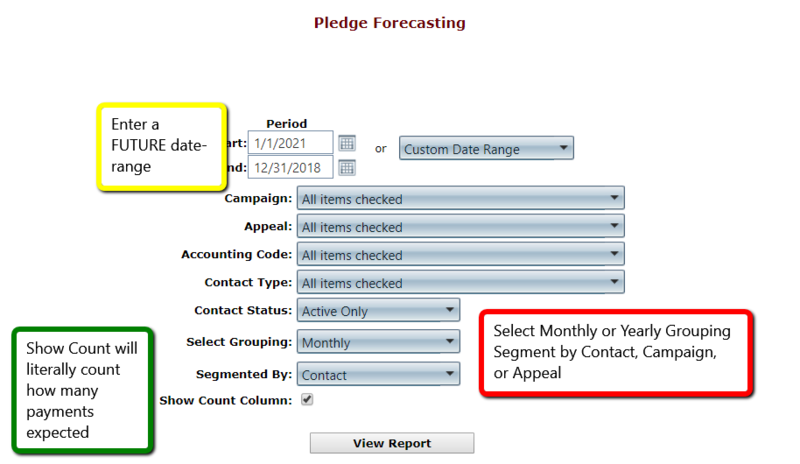 Segment by the Contact to show individual’s upcoming pledge payments, or by Campaign/Appeal to see what those are expected to make in the grouping you chose. This report only exports to Excel.